Back in December, I had the chance to go to the Close to my Heart offices for a craft night. 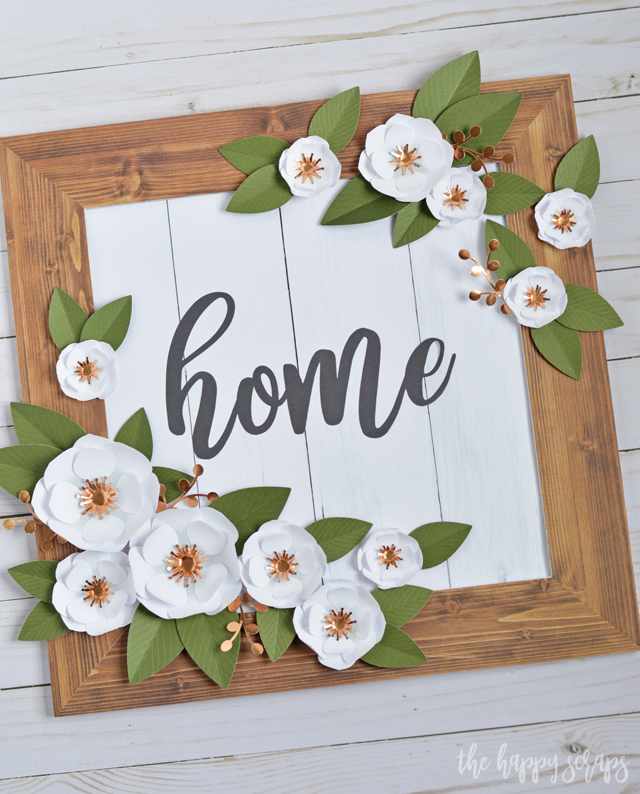 We got there and they had the cutest hot cocoa bar set up and tables set up with this most fun Magnolia Frame Kit that each of us were able to make. I was SO excited, especially when I saw all of the different options that could be made with it. I was able to sit and chat with other amazing creatives and I finished my project that night (that never happens with I’m with other creatives and get talking) and was so excited to bring it home and put it up in my house. I actually have it on this shelf by my stairs and love it! Disclosure: This post does not contain affiliate links. 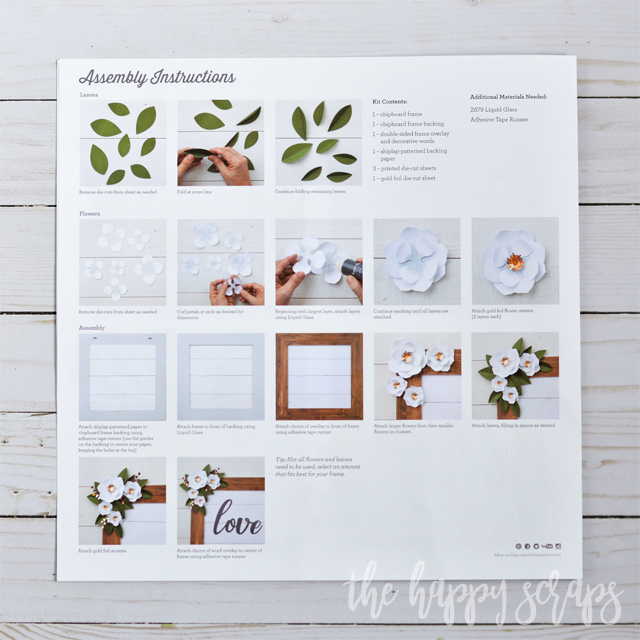 CTMH invited me to participate in a craft night assembling this kit, and I loved it so much I wanted to share it with you. 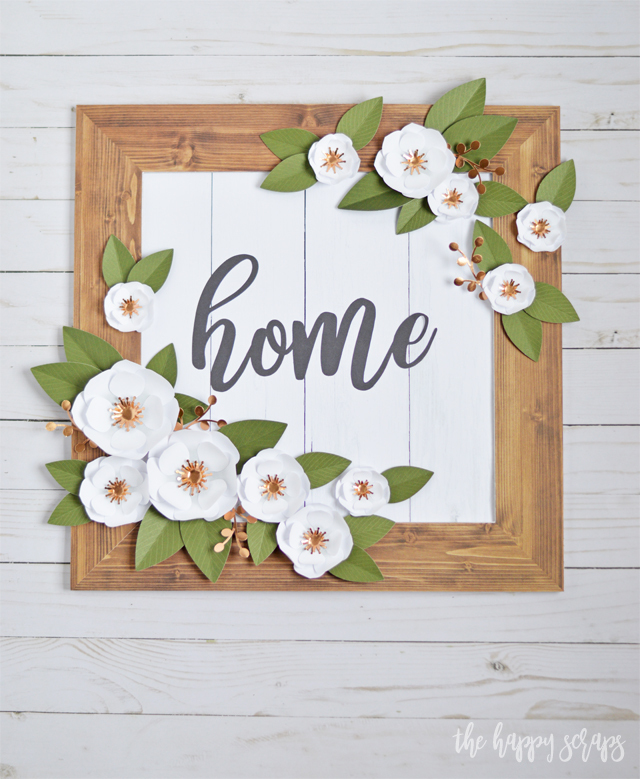 I also wanted one of you to be able to create one for yourself and CTMH has provided me with one for a giveaway. 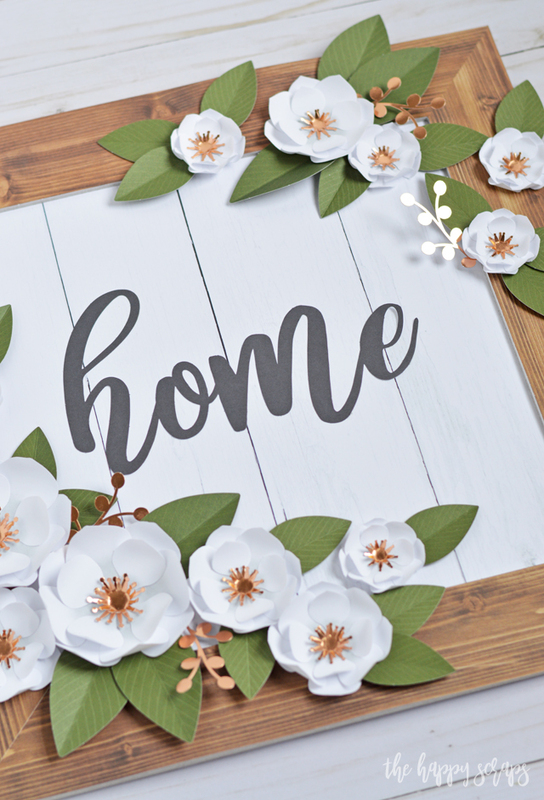 I love creating my own designs, but sometimes it is SO refreshing to have the design all created for you and you just have to assemble it, right? 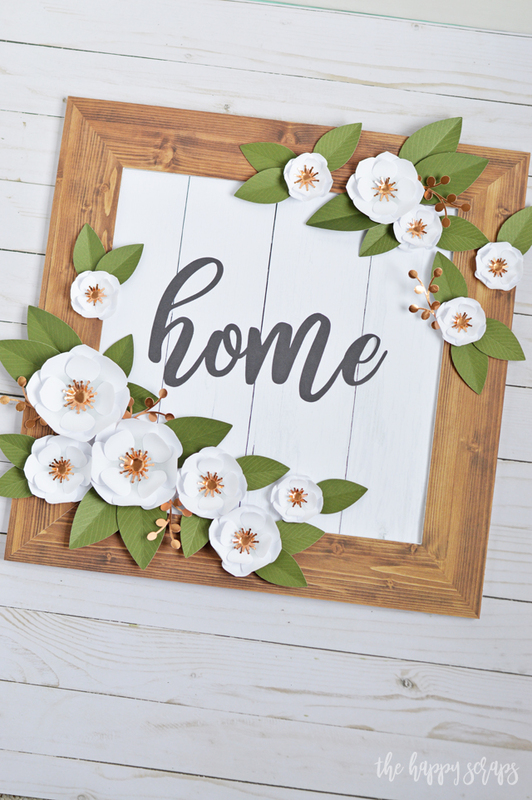 The great thing about this Magnolia Frame Kit is that I just had to punch out the pieces and put them together. The instructions that come with it tell you everything you need to know! It gives you ideas of different uses for it as well. There are two options for the frame. I chose the brown, but I also think the white is really pretty! The back of the insert has all of the instructions for putting this together. You can’t see it in the pictures, but on the tips of all of my flowers I used a shimmer brush, and I love the little bit of sparkle that it added to the flowers. 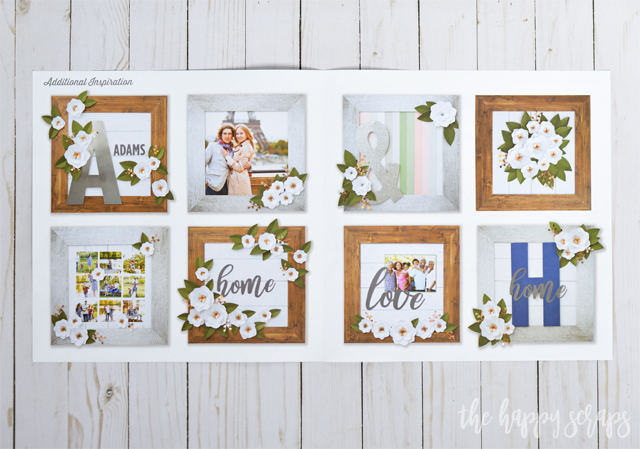 I really love the way this Magnolia Frame Kit turned out. They are only available through the month of January (National Papercrafting Month), so if you’re wanting one, then be sure to grab it now! 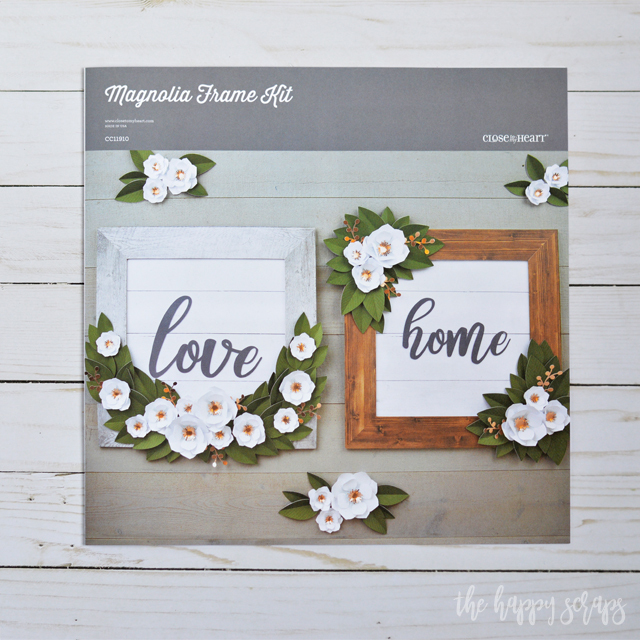 Close to my Heart has been so generous and has given me one Magnolia Frame Kit to giveaway. If you’d like to enter (and I think you should because it’s such an awesome kit! ), then head on over to my Instagram account. That is where the giveaway is. Giveaway will close January 21, 2019 at 9pm, MST.